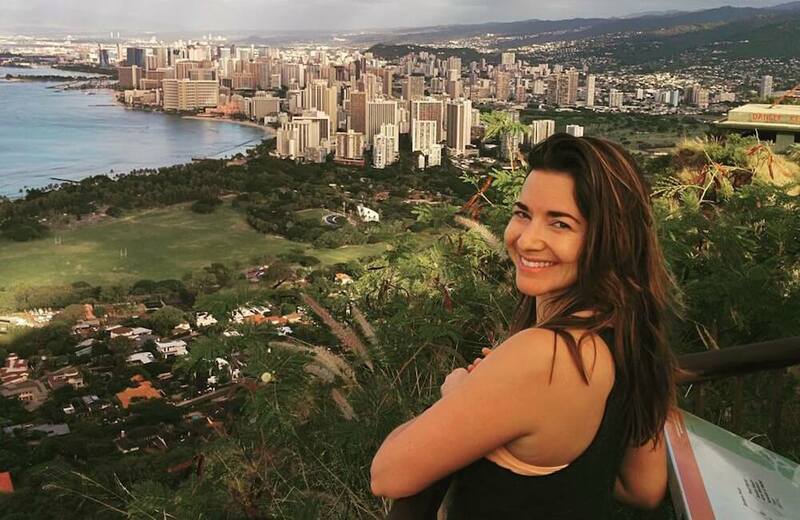 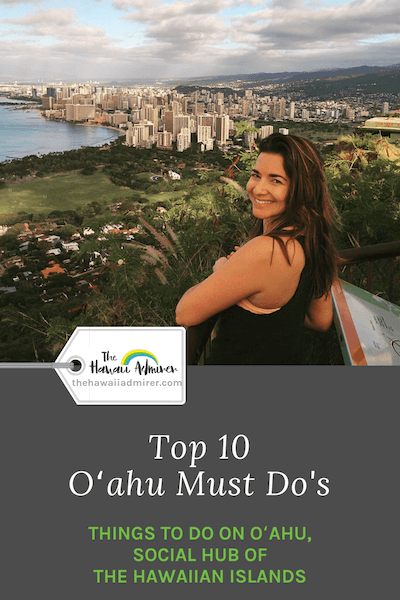 A shortlist of my all-time favourite things to do on Oahu. 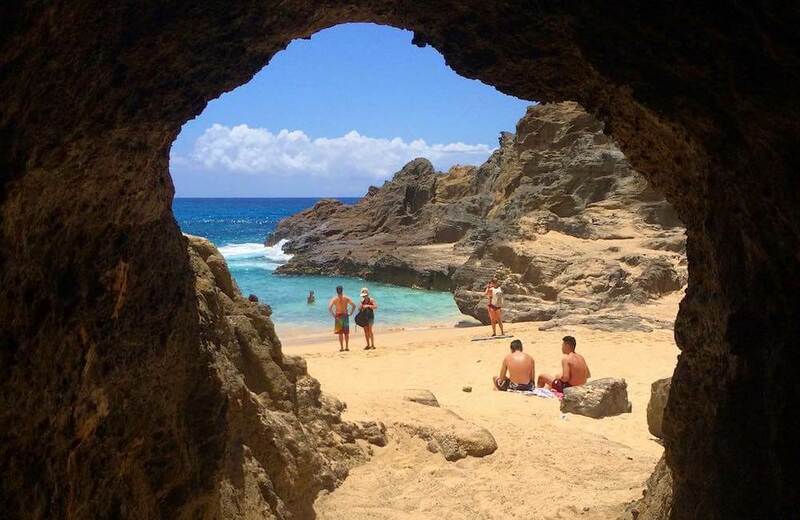 These must-do experiences are waiting for you on Oahu, social hub of the Hawaiian Islands. 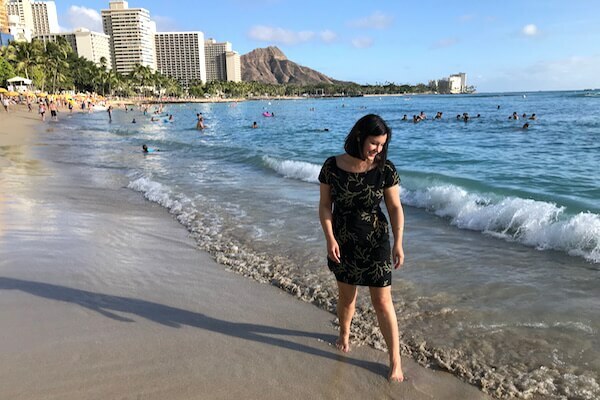 Brave the 0.8 mi (1.2 km) hike to the top of Diamond Head, an extinct volcano crater, via 200+ steps and a few tunnels. 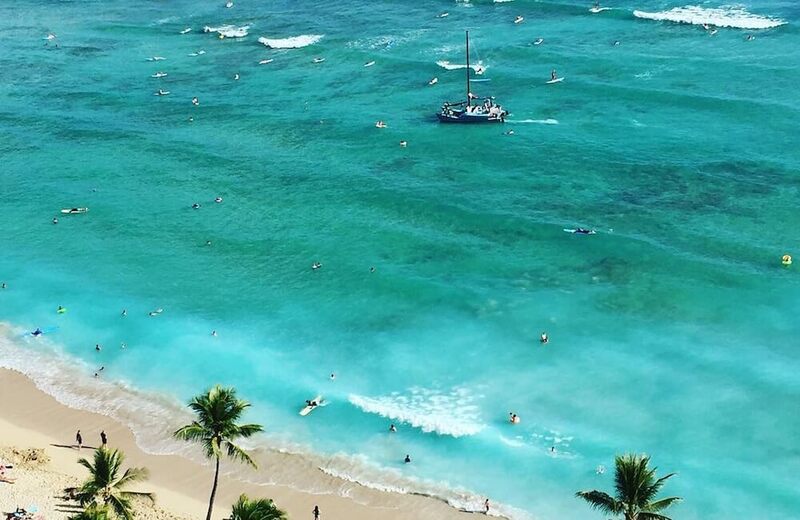 You’ll be rewarded with postcard views over Honolulu. 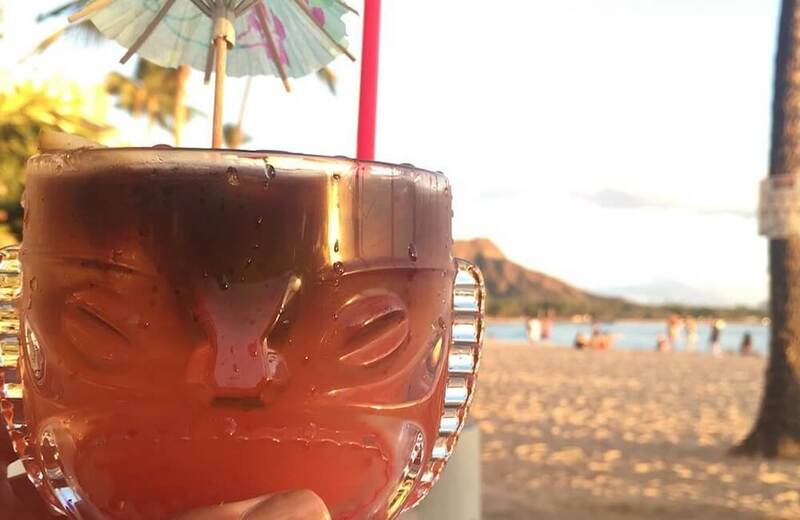 Position yourself at one of Waikiki’s incredible beachfront bars, order a cocktail (try a Mai Tai, Blue Hawaii or Lava Flow) and watch an unforgettable sunset over the Pacific Ocean. 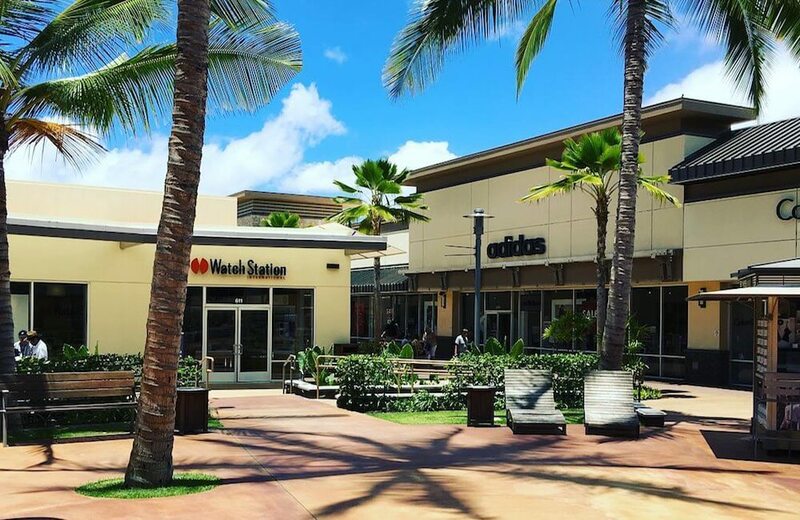 Oahu delivers a shopper’s paradise with everything from the world’s largest outdoor mall and duty-free galleria to local boutiques and an open-air factory outlet. 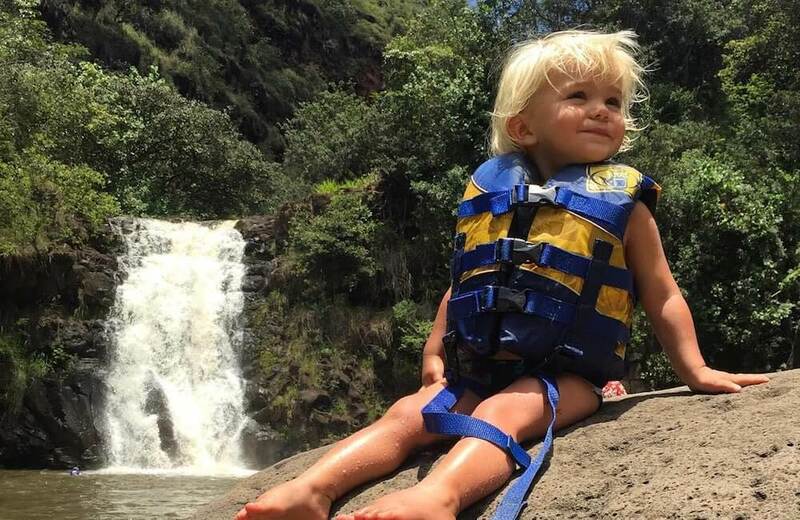 Waihi Waterfall is 45 ft (13 m) piece of paradise in Waimea Valley on Oahu’s North Shore (opposite Waimea Bay). 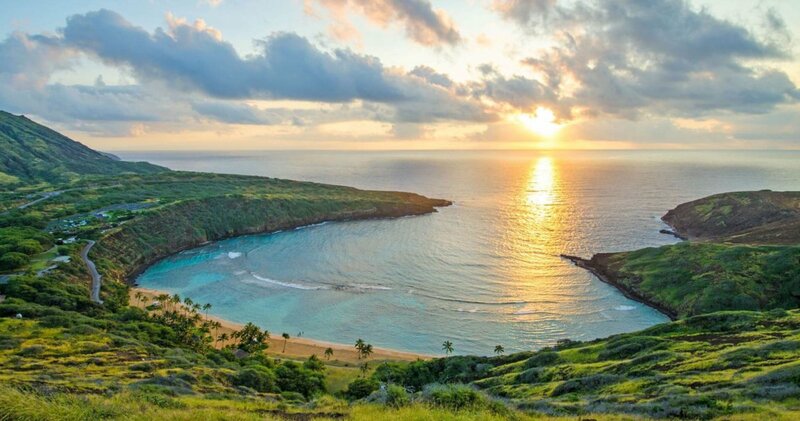 Visit this attraction for a peaceful botanic garden walk and refreshing swim. 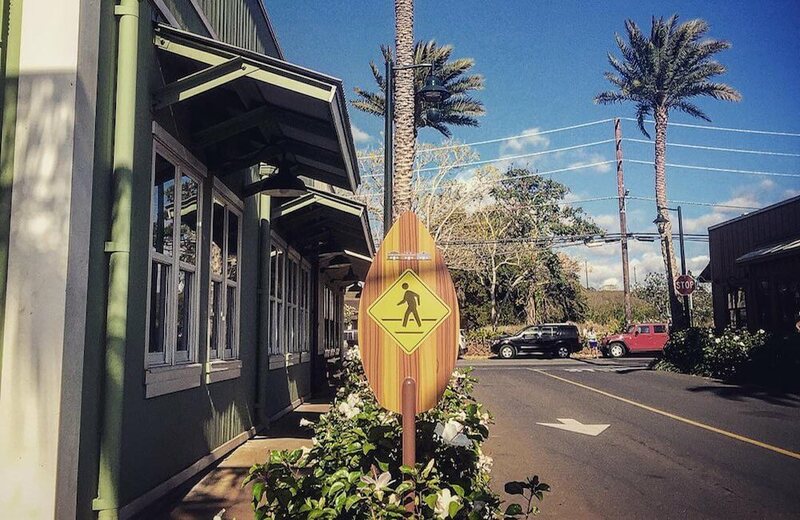 Rent a car or take a tour to Oahu’s beautiful North Shore, explore the historic surf town of Haleiwa and famous surf spots like Sunset Beach. 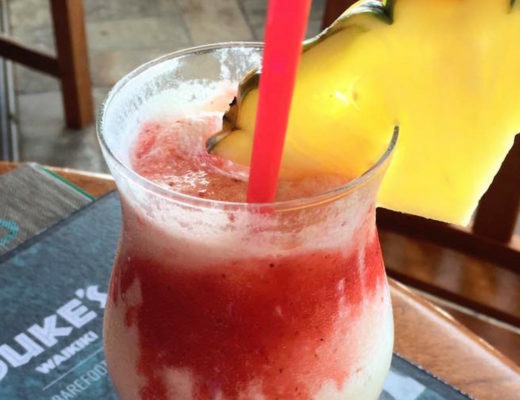 Don’t forget to try shave ice and eat at a shrimp truck (my favourite is Fumi’s). 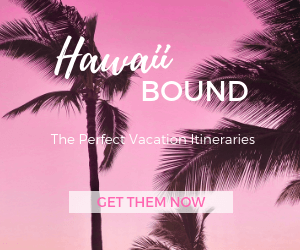 Connect with Hawaii’s host culture through a ukulele, lei making, quilting, lauhala weaving or hula lesson. 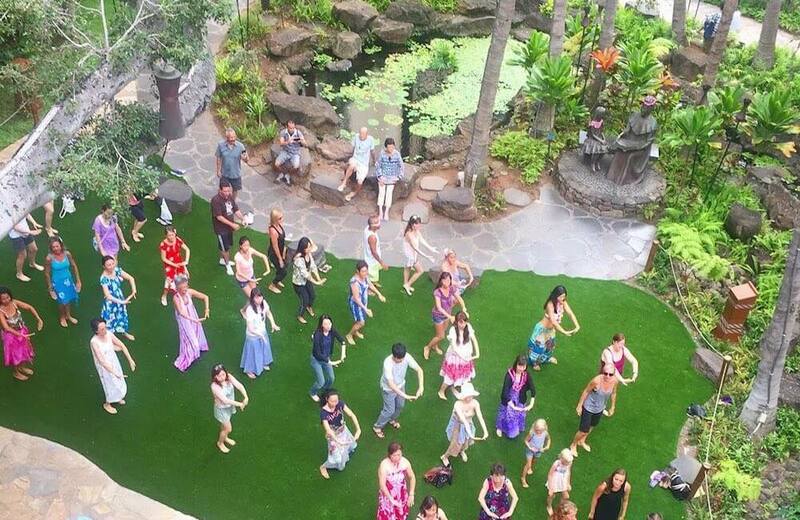 Royal Hawaiian Center offers complimentary cultural programming Tuesday to Saturday. 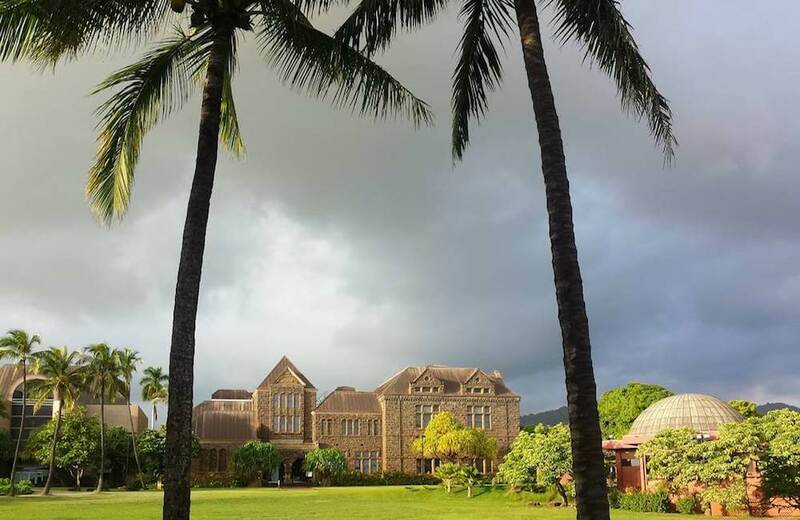 Carve out some holiday time to delve deeper into Hawaii’s history, people, arts, plants, animals and more, at one of Oahu’s many museums. 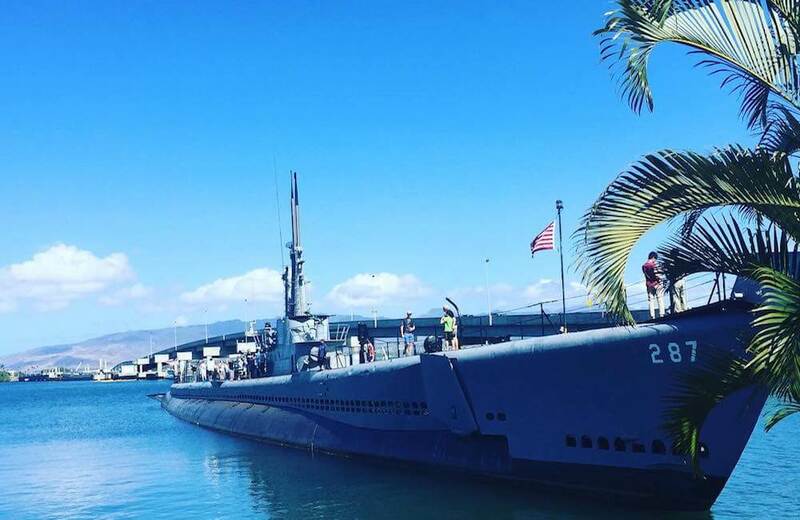 Allow ample time at this national historic landmark to visit not only the USS Arizona Memorial but the Battleship Missouri Memorial, USS Bowfin Submarine Museum & Park, Pacific Aviation Museum and the USS Oklahoma Memorial. 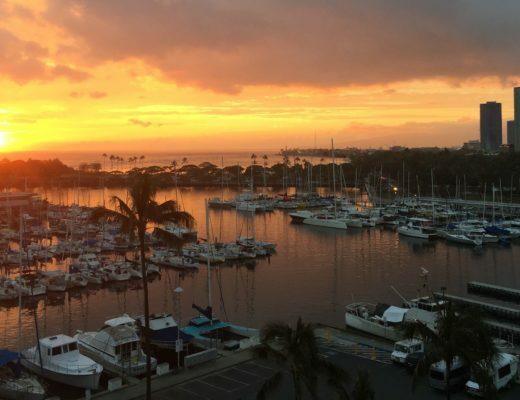 RELATED >> What is the best way to see Pearl Harbor? 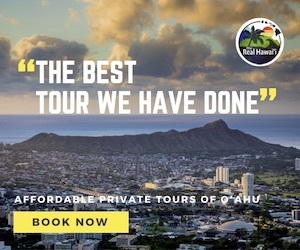 Rent a car or take a tour to Oahu’s south-east coast, snorkel at Hanauma Bay, dip in Halona Beach, hike to Makapuu Point Lighthouse, explore Kailua and Lanikai beaches before returning via the Nuuanu Pali Lookout.